Welcome to the fundraising campaign page in honor of Julian Elias Diaz. My name is Kelly, and I am Julian’s daughter. My Father needs a Kidney Transplant. 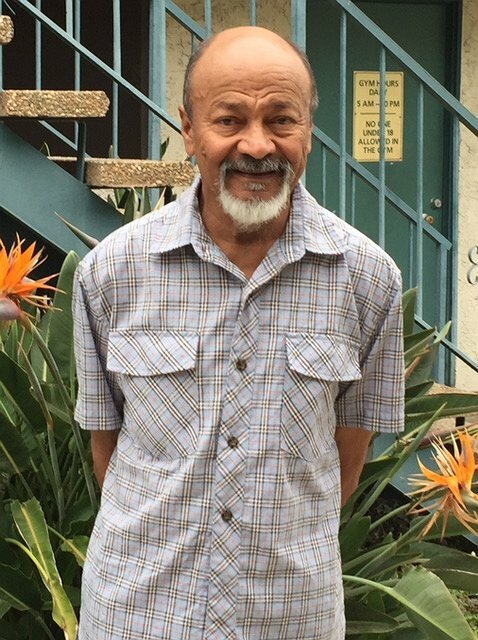 He has been on dialysis for 10 years, and we finally have a chance to get him back to good health with your help! Let me tell you a little bit about my Father. In one word, he is awesome. He has your typical dad humor, and a positive attitude. He likes to walk, loves watching cooking shows, working on cars, and helping others. My father likes to go early to his dialysis treatments because he likes to help the staff by doing the odd job here and there. On a personal level, my father apart from being awesome, is my hero. He raised me as a single parent. He worked hard to make sure I had everything I needed while growing up. My father at times had to pass up opportunities because he put me first. I thank him a million times for stepping up and being an incredible father to me and role model. My father apart from his Kidney disease, is healthy and a perfect candidate for a transplant. However, we need help paying for medication. This is the part where you come in to help with donations. No amount of money is too small. If you could help us out, we would forever be grateful. We know sometimes that money can be tight. So if you could also help us by spreading the word about his fundraising efforts, that would be great. If you choose to donate to this campaign, please know that it is tax deductible to the full extent allowed by law. Thank you so much for your time. I hope you can help me, offer my father an opportunity of a new healthy life. That would mean the world to me. Thank you, again! Julian has chosen to fundraise with Help Hope Live in part because Help Hope Live assures fiscal accountability of funds raised and tax deductibility to the full extent allowed by law for donors. Donors can be sure that funds donated will be used only to pay or reimburse medically-related expenses. To make a tax-deductible donation to this fundraising campaign, click on the Give button. Jenna, thanks for your donation! And for being the best Audience Coordinator! Jake, Thank you very much for your donation! We are excited to announce we are officially waiting for the call! Please keep your fingers crossed for Julian! Thank you all!! Feel free to share this page! Hi guys! We so close to our goal.. please share this page.. thank you! Dani, Thank you again for giving 🙂 Seriously! THANK YOU, and God Bless you Mrs. Pamela Smith. Thank you so much , Beatrice Lomer! Big thank you to Miriam ( Tia Mari ) !! Big Thank you to Mrs. Beatrice Goodman !! Big Thanks to my Monkey for the donation! I love you lots! A big Thank You to Dee Williams for being the first person to donate to this fund! !